Graduation is a momentous occasion. It is a milestone to mark the progress from first stage to the next one. 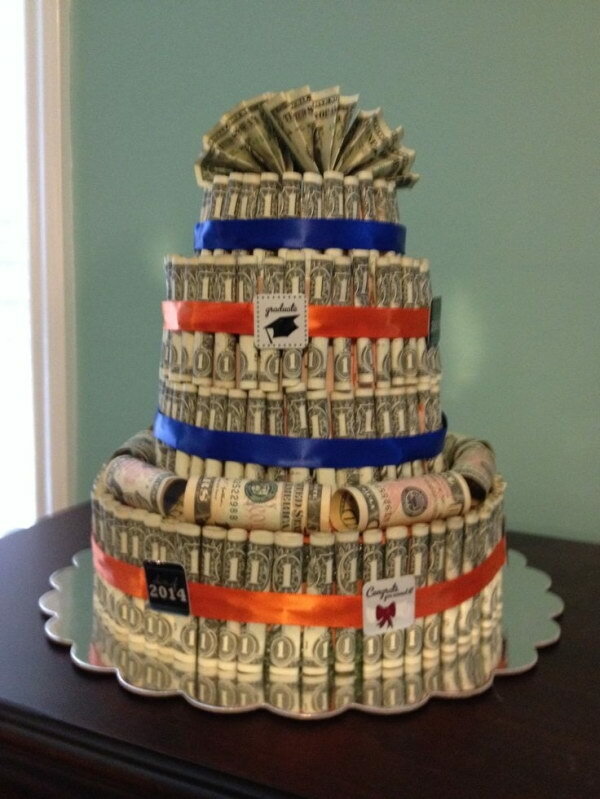 It deserves a gorgeous celebration to the graduates’ excellent achievement and success. 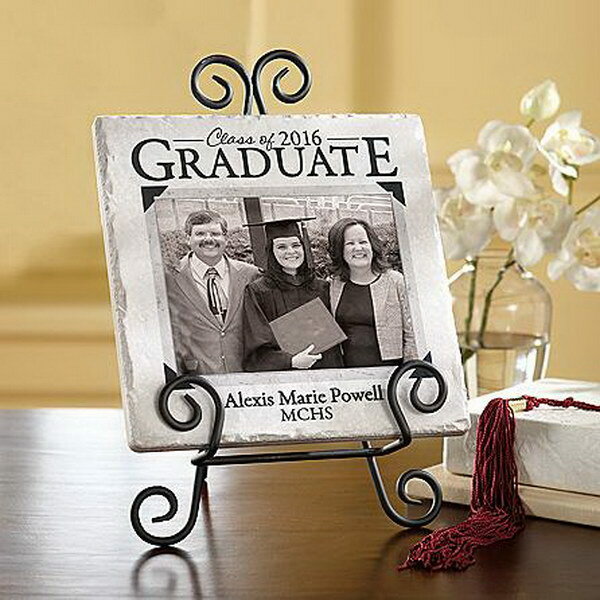 With graduation is just around the corner, you may be looking for the perfect gift for a new college graduate to express your congratulations. 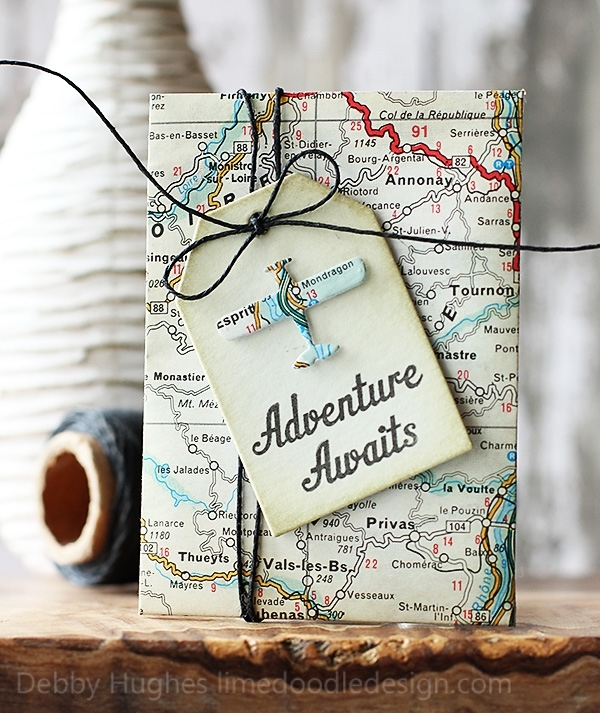 Here we have rounded up some easy and fun gift ideas for your inspiration. 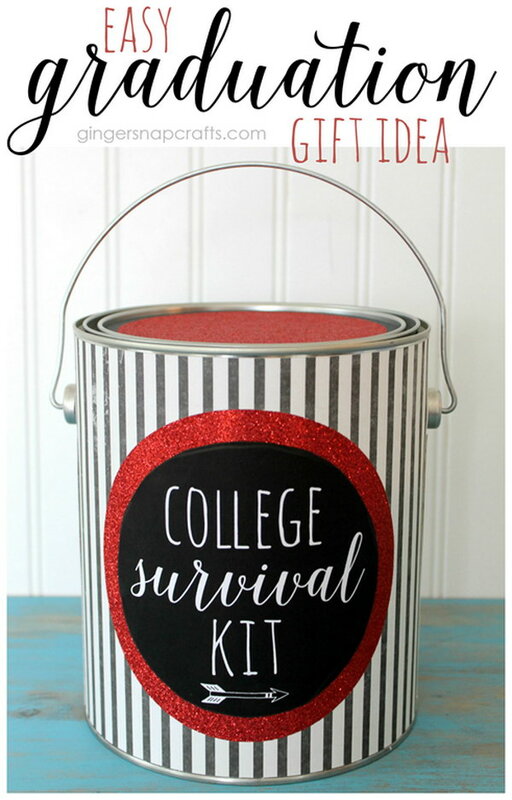 From handmade graduation hat jar to DIY chalkboard and tassel frame, college survival kit, you must find some inspirations that are ideal to your recipient’s unique qualities. 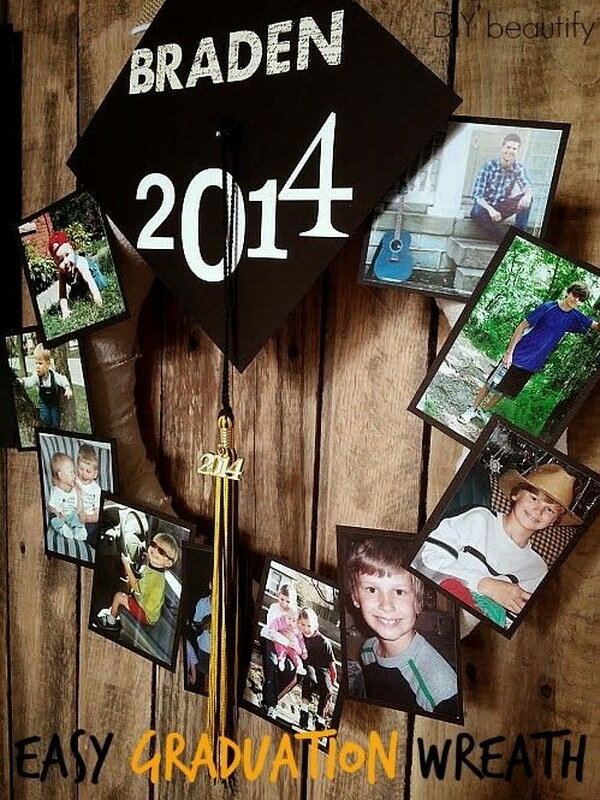 Personalize the wreath with your favorite photos! 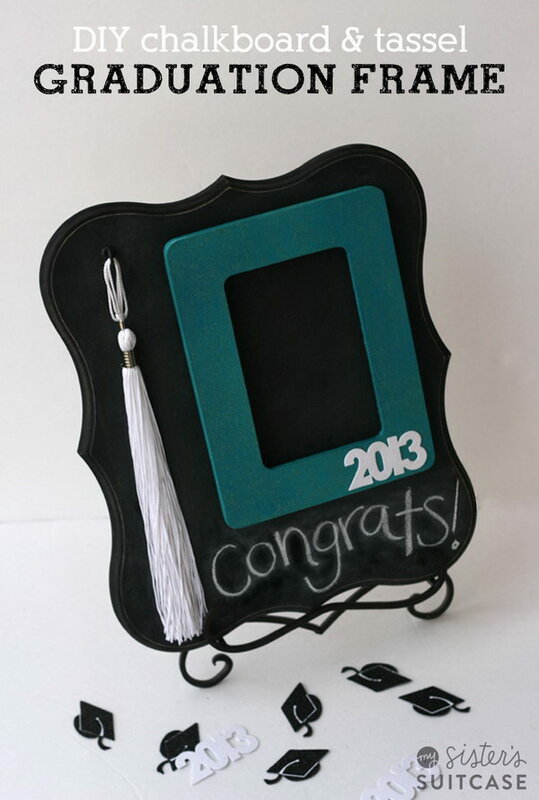 It makes a great graduation party decor or you can use it as a great gift for your friends. via diybeautify. Easy and fun to make with a few supplies and makes a stylish grab gift! Ge the step-by-step tutorial via hip2save. Learn how to make via chicacircle. 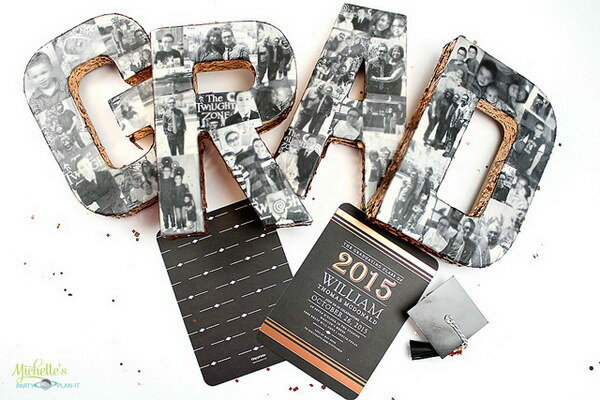 What a cool DIY gift for this graduation season! Your friends will love it forever. 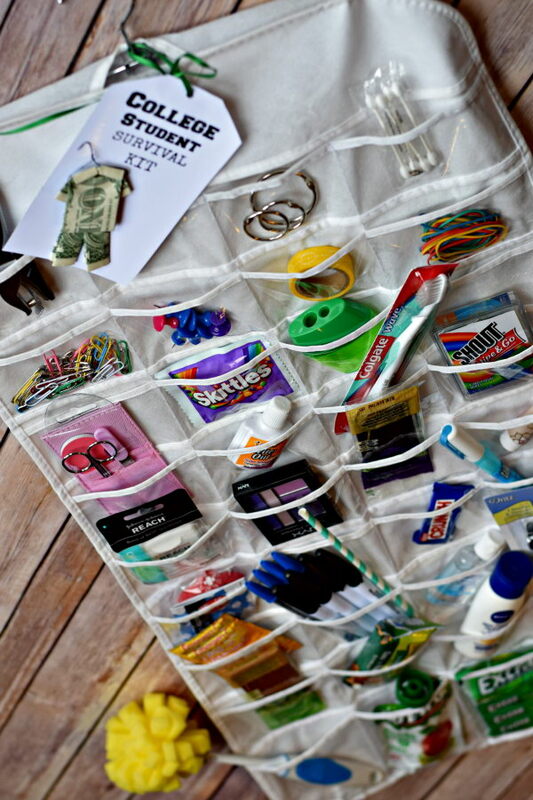 DIY instructions via sisterssuitcaseblog. 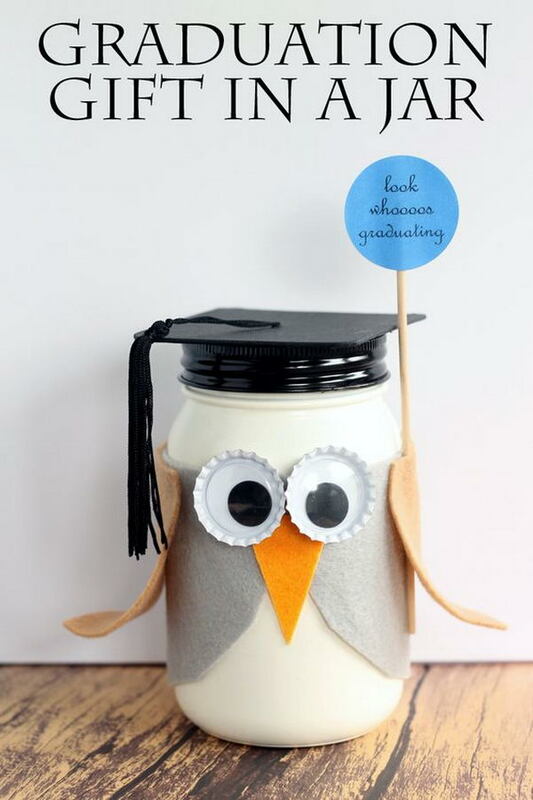 This mini graduation hat jar looks so cute! Learn about the DIY steps via weshareideas. Check out he details via gingersnapcrafts. Share good memories with these fun photo cards with your friends! 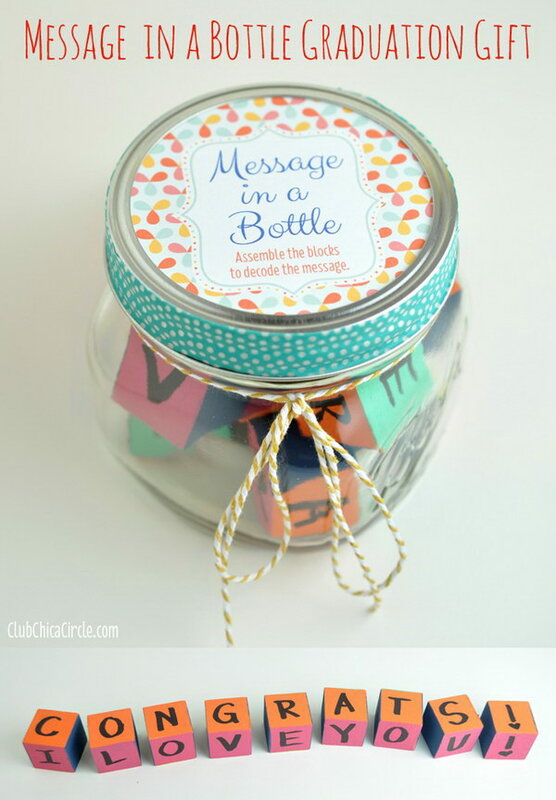 Easy DIY instructions via tinyprints. 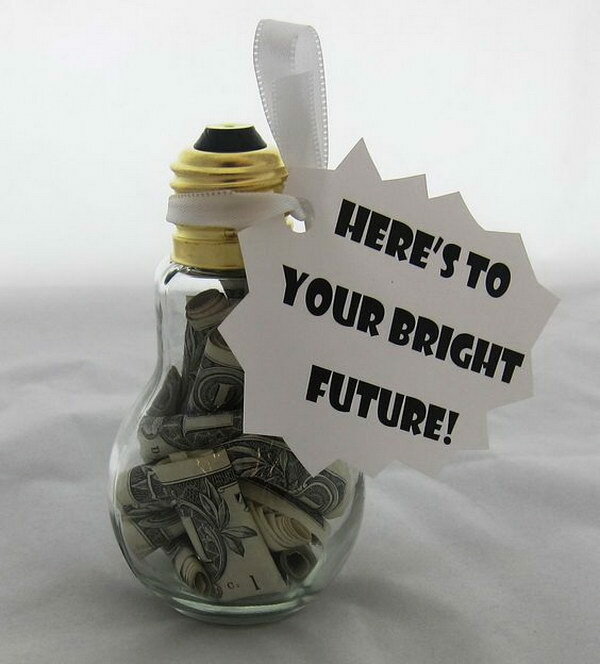 Brighten your grad’s day with this unexpected fun craft. 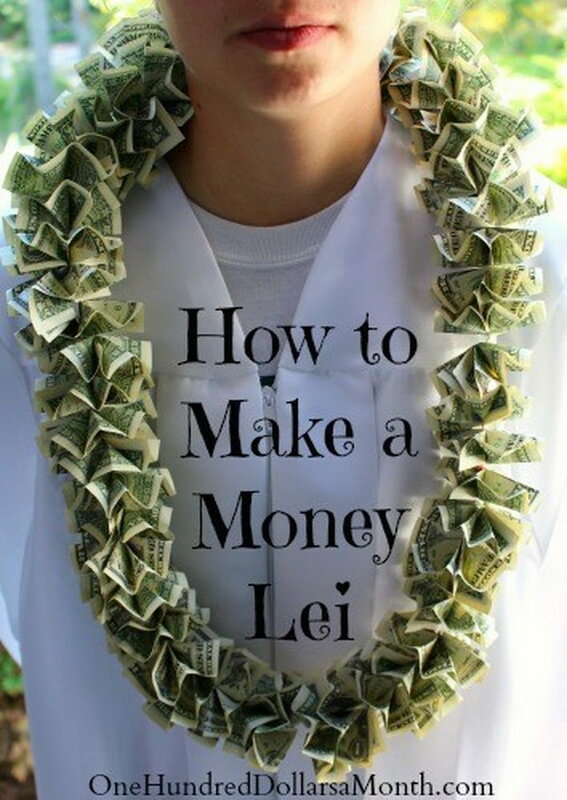 Another fun and unique way ti give money as a grad gift! via craftsunleashed. 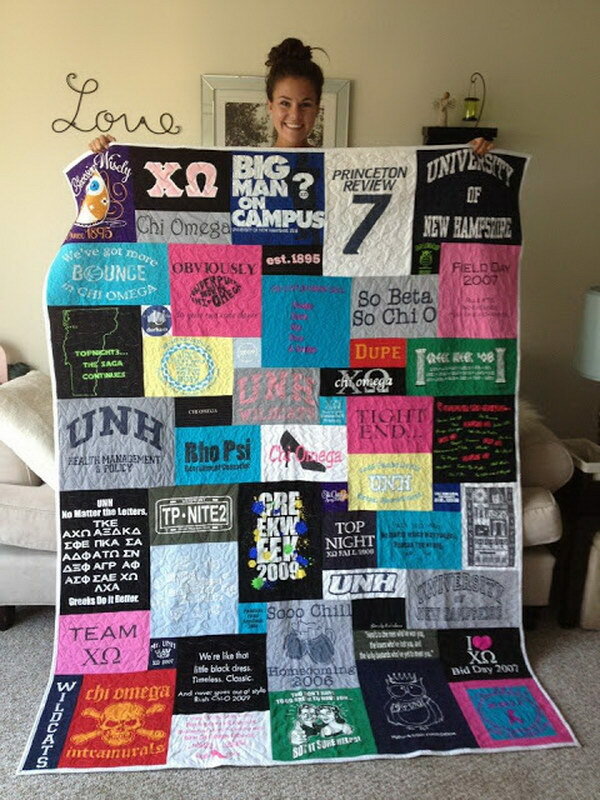 Recycle your old t-shirts to make this stylish quilt, it makes a great gift to your roomates. via littleblip. 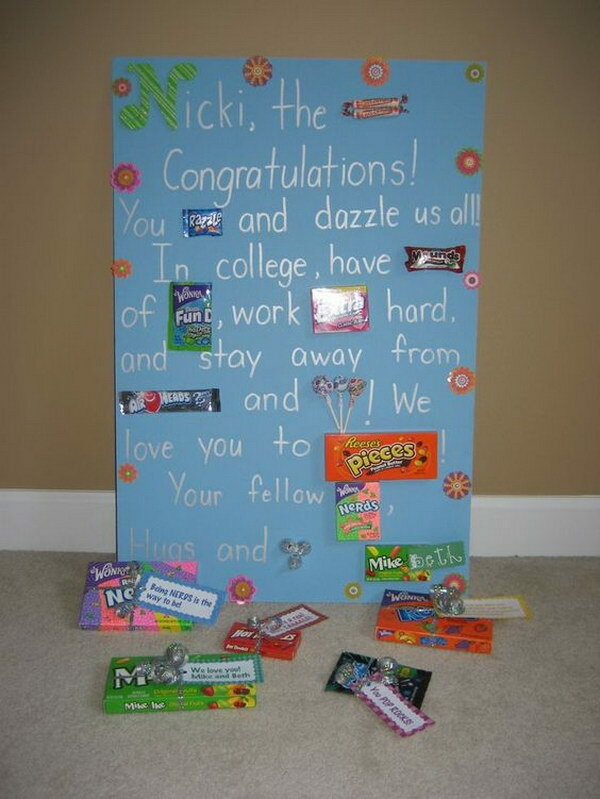 This simple DIY Graduation Memory Board makes a great gift for your high school or college grad! 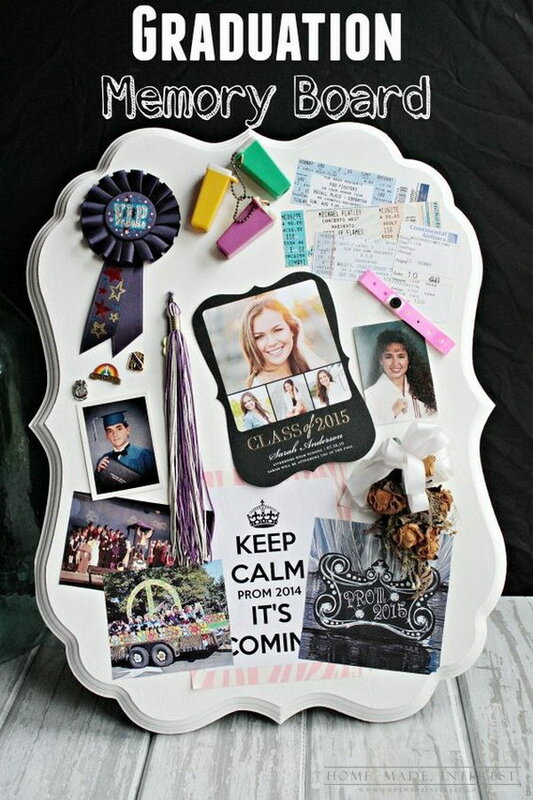 homemadeinterest. 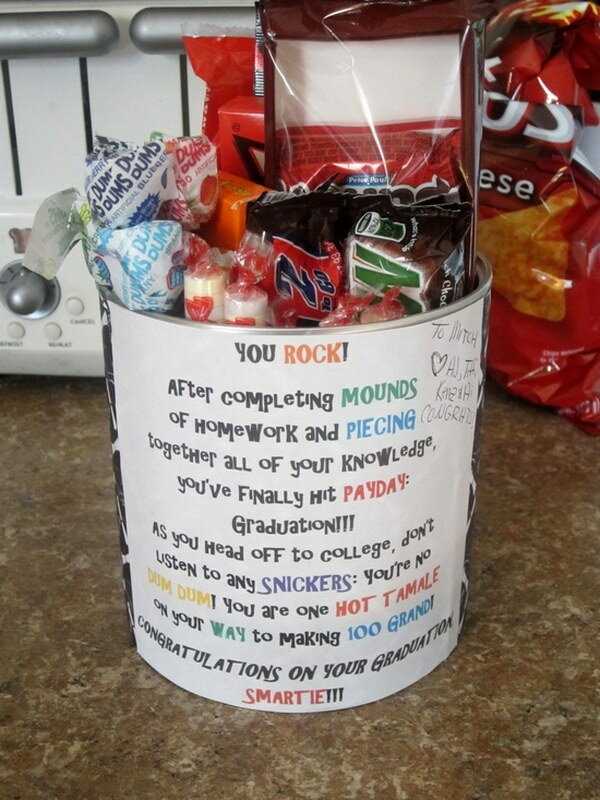 A cheap and cheerful graduation gift with a can full of candy! source. Candy and a note really say a lot and make great gifts. How about this one? 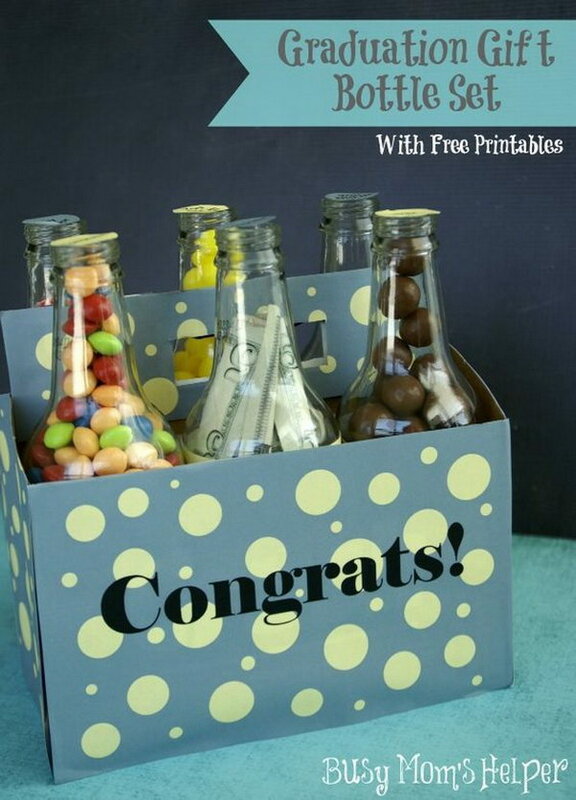 Simply fill some empty beer bottles with somthing you want to give, like some sweets, small handmade gifts…What a fun and stylish way to gift your friends with these bottle set. Photo credit pinterest. 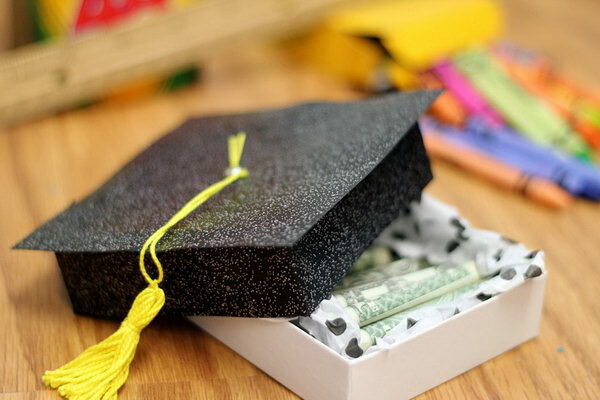 A cheap and easy graduation gift for high school. EVERYTHING came from the Dollar Tree. See the details via pvbs31mom. 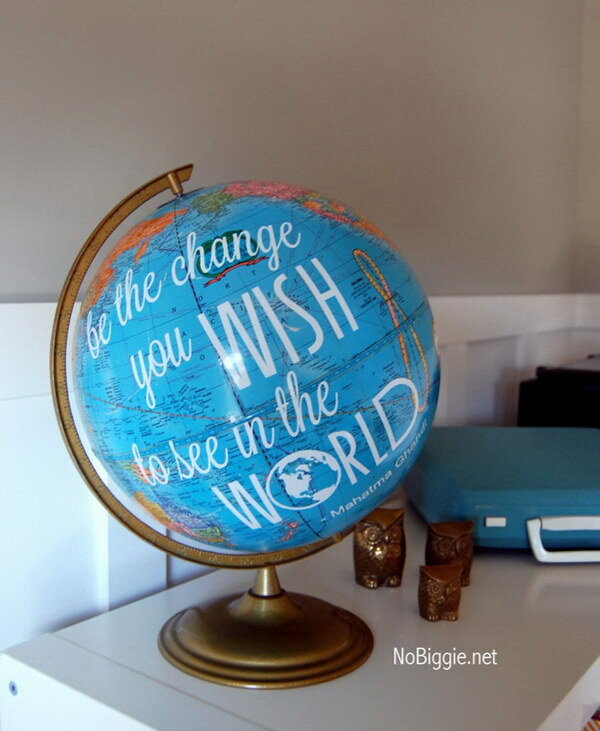 Love the quote idea on the globe! 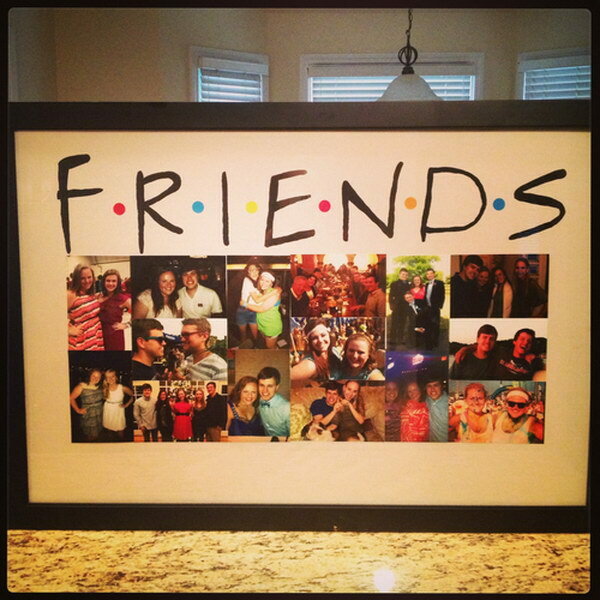 A unique grad gift that your friends will cherish forever! DIY instructions via nobiggie. 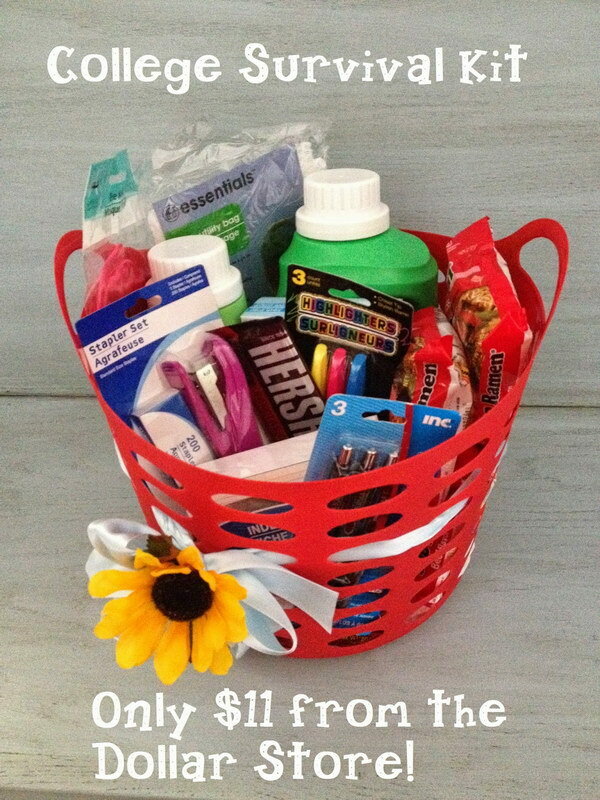 This DIY college student survival kit made with vouchers, money, snacks and cleaning supplies is so practical and cool for your graduate. Get the tutorial via mothersniche. Get the tutorial via thecountrychiccottage. Get the tutorial via limedoodledesign. These are some very creative, awesome ideas- Thank you!